Once again, this time in Florida, Verdemed sponsored and spoke at the second annual summit of private investment in the cannabis industry, organized by Kahner Global. The event analyzes the risks and opportunities of the industry and brings together entrepreneurs from the Cannabis industry, high net worth investors and family offices. This is the second time Verdemed takes part in Benzinga’s Cannabis Capital Conference. It is a great opportunity to meet new investors and build business relationships. 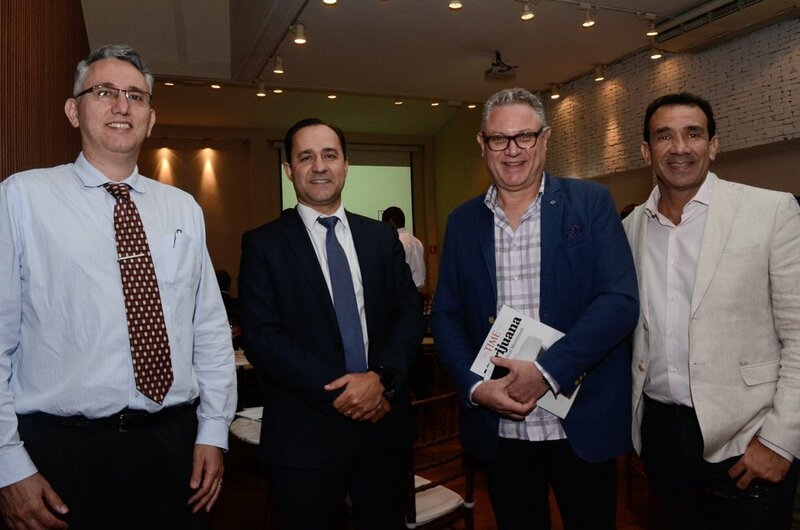 Verdemed received over 40 investors in São Paulo interested in the company's investment proposal. The event was part of the first round of funding of US$ 6 million, which might end in 2018. Verdemed was born from the initial contribution of US$ 600 thousand and intends to raise about US$ 20 million in the next two years to invest in the development of cannabis-based drugs. We had the honor of sponsoring the first first CannX Brazil - International Congress of Cannabinoid Medicine. The focus of the Congress was research and clinical experience, essential components of Verdemed's operations. Verdemed sponsored and spoke at the third annual summit of private investment in the cannabis industry, organized by Kahner Global. The event analyzes the risks and opportunities of the industry and brings together entrepreneurs from the Cannabis industry, high net worth investors and family offices. Grow Up Cannabis Conference and Expo is focused on the education, collaboration, networking and growth of the cannabis growing industry. It is a hub for licensed producers, suppliers, equipment manufacturers, investors, lawyers, government officials, dispensary owners and growing enthusiasts. The founders and producers of Grow Up Conference and Expo have decades of experience producing national-profile events and creating global connections between business communities in the arts, broadcasting, media and technology – all in one magnificent location. With 78 speakers and 125 exhibitors, Verdemed attended the 2018 MJBizConINT’L conference in Toronto, organized by Marijuana Business, a business news information resource for the medical and retail cannabis industry. MJBizConINT’L is a globally focused cannabis conference convening international leaders in marijuana investing, business and regulations.